We are always interested in buying interesting postcards either individually or as part of genuine collections. We prefer cards from pre - 1940 but later dates may interest us also. We regularly receive postcards through the post and prefer to deal this way if possible. If you'd like to send your postcards to us for appraisal and our offer - before doing so please contact us by email or telephone first. We recommend using Special Delivery (registered post) or compensation fee parcel post if possible. 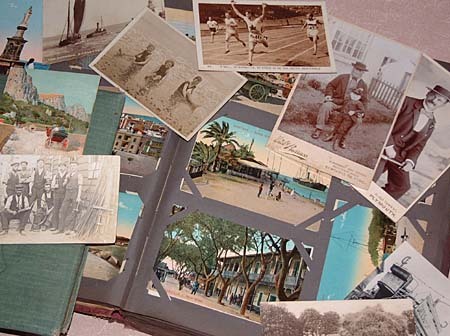 Old postcard albums are rarely worth anything and you'll save considerably on postage costs if you carefully remove cards from an album before sending.